Last dashboard of dashboard week! Today we are looking at Motor Vehicle Census data from the Australian Bureau of Statistics. When I think of ABS data, vehicle census data has never crossed my mind but I am glad that we are exposed to this today. Firstly, with the data exploration stage of the challenge, upon first glance the data looked rich enough to make something out of it. 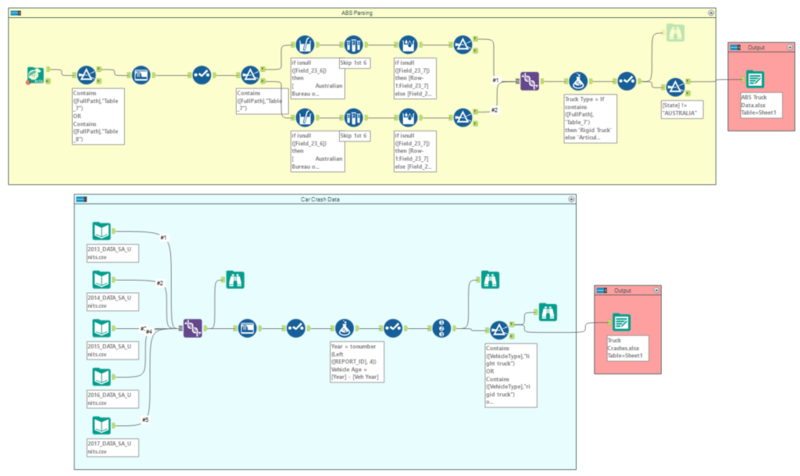 However after cleaning it on Alteryx (as is the process with any ABS data) and bringing it into Tableau, I found that I didn’t come up with a story I liked. Back to the drawing board for me! I thought I would complement the ABS data with some car crash data. What followed was finding a rich enough data source for car crashes across all states in Australia. I found data from (data.gov.au) and found that it needed some final tweaks before it was usable. Great! It was already 12:30 at this stage… Here is a preview of my workflow. Next comes the dashboarding. It all came down to what story I wanted to tell. Because there were 2 tabs of data on solely trucks in the ABS data, I thought I’d go down that route. 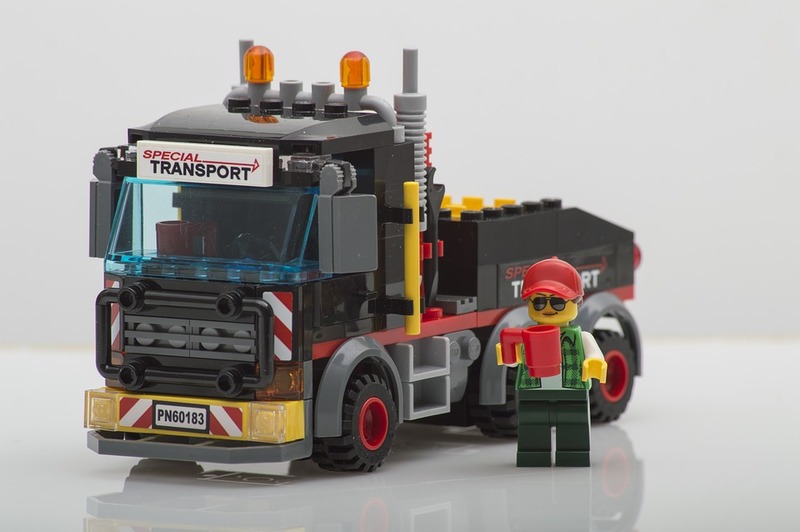 Trucks came in 2 main classifications; rigid trucks and articulated trucks. The latter are typically the larger ones. I remembered back to the first 2 weeks of The Data School and how we used car crash data to produce a heat map. I thought that would be appropriate in this case, as the latitude and longitude has been provided for every crash. This would easily highlight any problem areas, as it has. It seems that there is a concentration of incidents in South Australia. However, we need to put this in to context. 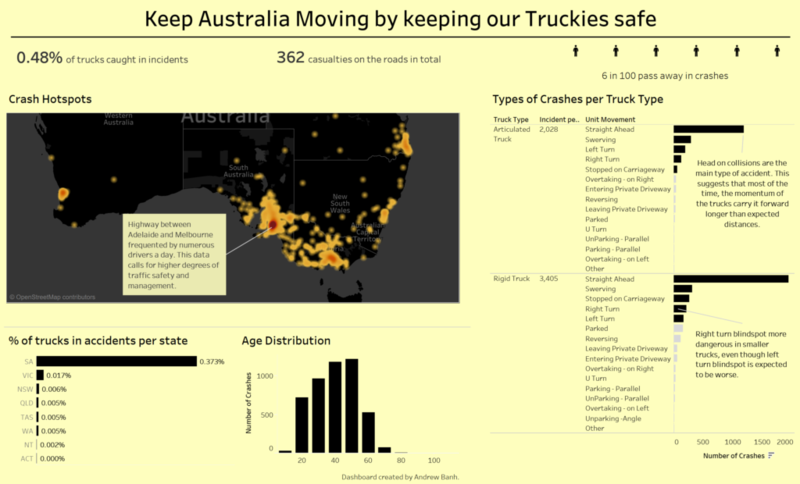 What if there are more registered trucks in South Australia? I initially had a bar graph showing the overall number of trucks registered in each state but that left it up to the audience to work out the percentage of trucks in crashes in that state. This is where I used a blend of the 2 data sources. I had to start with the crash data, as you cannot perform a COUNTD() on a secondary source. That is the little takeaway. Next I thought I would explore the age distribution of people involved in crashes. When I produced this chart, I thought initially that individuals aged 50 to 60 were more prone to get in to accidents. However, I realised that the majority of truck drivers were around this age. To finish up, I provided a drill down in to the specific actions performed by drivers before they got in an accident. Collisions while moving forward dominate both articulated and rigid truck categories. This coincides with the premise that trucks take a longer time to come to a stop. Note that Straight Ahead movements can include head on collisions and also rear ends as well. Left turns are seen to instigate more crashes for articulated trucks, which is also expected because of the larger blind spot on the left hand side, but interestingly, we see that this is the inverse case for rigid trucks, who tend to get in more accidents turning right. 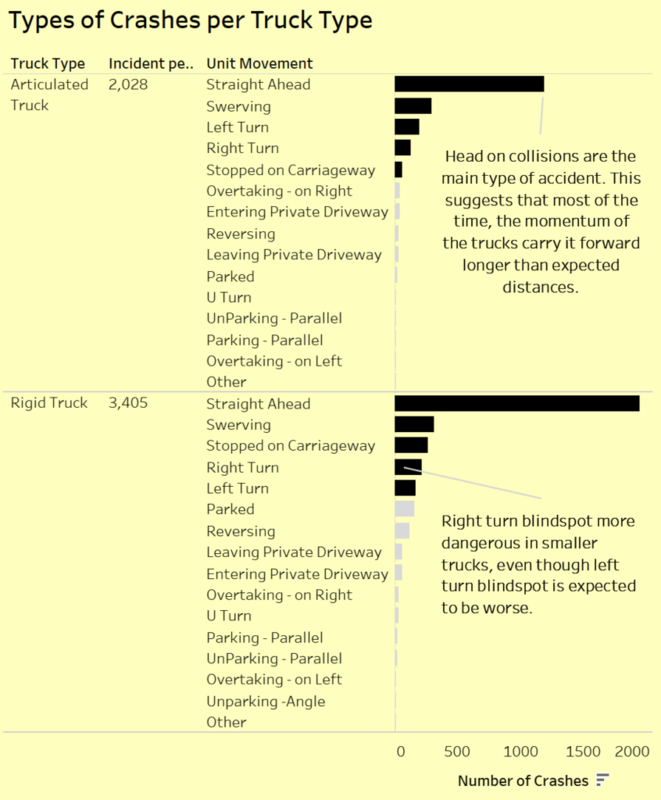 Also, for both truck types, overtaking on the right seems to combat the blind spot hypothesis as well as there are more crashes stemming from overtaking on the right hand side, where the blind spot is smaller. Completed dashboard below for reference.